I’m thrilled to host the wonderful and talented Garrett Leigh today. She’s multitalented—not only does she write lovely books, she’s a graphic artist as well! She’s one busy gal, but I managed to get her all to myself for a short interview. Charley: How much do you know about the story when you start to write a first draft? Garrett: Each book is different, but generally I know the beginning (obviously) and the end, and a basic history/personality for each main character. It’s the bit in the middle that often foxes me. I get half way through and realize I have to find another 20k of plot before I can write the punchline I’ve been dreaming of since the book’s conception. Charley: I’m horrible at titles—how do you choose yours? Garrett: I’m a big fan of one word titles (as you might have noticed) and I always try and find a word that resonates with in the story. 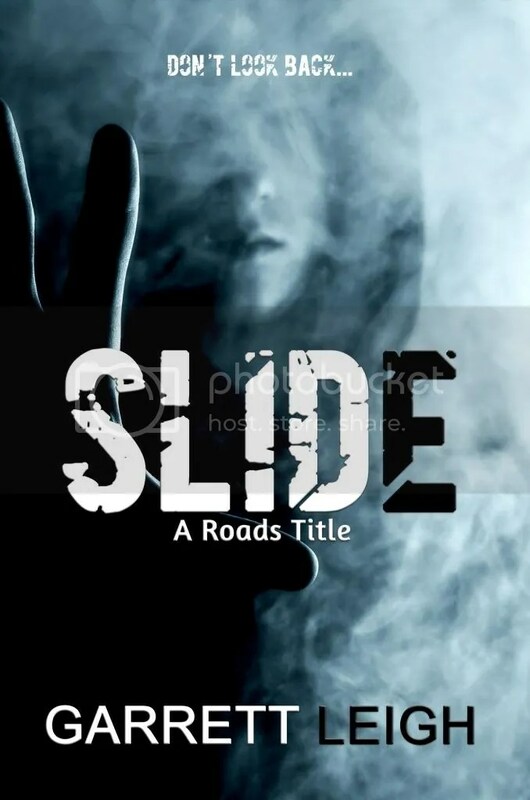 With Slide, it was Pete’s theory that letting things go…letting them slide…had been his biggest mistake with Ash. That his complacence was somehow to blame for things getting as bad as they did. And from Ash’s POV, he kinda figured that without Pete holding him up, he’d slide away into nothing. Charley: Tell me something about one of the characters in Slide that I can’t get from reading the book. Garrett: Ash isn’t as alone in the world as he thinks. This plot point is explored in Rare, the second book in the series. In fact, this is probably a good place to tell you that the entire series is being released in audiobook format this autumn, hence Slide coming back out on tour. Charley: What are you working on now? Garrett: This week? Edits, mainly. I have a book out with Riptide (Misfits) in the spring that’s in line edits right now, and I’ve just proofed the galley for Heart, that is out with Dreamspinner Press October 27th. Writing wise, I’m working tentatively on a YA book. Whether it sees the light of day or not remains to be seen, but, who knows? Cover art wise, I’m working on something top secret for Aleks Voinov. Charley: What question have you always wished someone would ask in an interview? Garrett: What are you wearing? ‘Cause the answer is probably nothing. I’m a great believer in walking around the house nekkid. 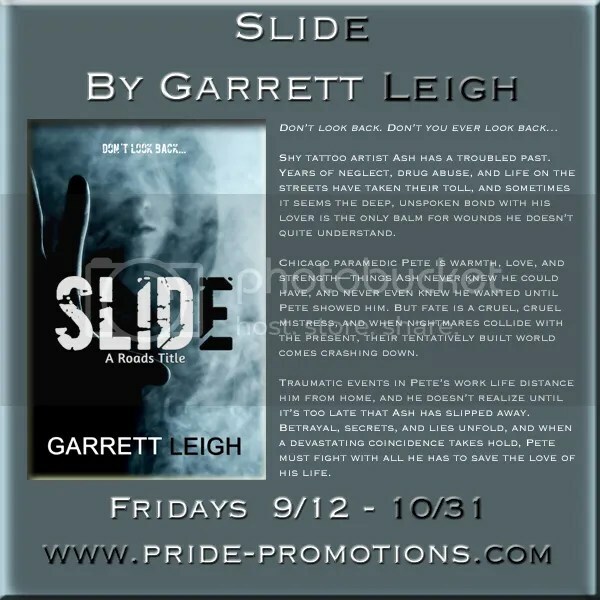 This entry was posted in For Your Reading Pleasure and tagged Dreamspinner Press, Garrett Leigh, Guest Author, MM Romance, Pride Promotions by Charley Descoteaux. Bookmark the permalink.